Do you have a business partner or clients in Europe requesting to buy your products and need a shipping agent to help you with this process? You may need help with shipping luggage or boxes to Europe? At USG, we can help you with that at low-cost and make sure your shipment reaches its destination in Europe safely. USG offer air and ocean cargo to Europe with the cheapest rate in the market. The transit time for the shipping from East Coast to West Europe is extremely fast and it is usually less than two weeks. Basically, all the carriers are shipping to Europe via the Atlantic Ocean even if the origin of the shipment is on the West Coast. That gets transported via rail to Houston or one of the ports in the East-Coast. Our car shipping rate to Europe is base by roll on roll off and containerized services. If shipping from the USA, no need to get concern as all kind of options and services are available. USG offers the cheapest Shipping to Europe services. We will be answering all your questions about shipping to Europe. With many years of experience shipping containers to Europe. We are an international container shipping company with shipping lines sailing to all coastal countries in Europe. The product varies from shipping Consumer Goods, Foods and Beverages, Industrial Supplies Materials, and Automotive Vehicles. This website provides the most transparent information to ship to Europe for companies who are shipping the container and the company receiving the cargo. Please see below the list of the major ports in Europe, where we offer the shipping service. To avoid having your car seized by US Customs make sure to offer the correct value of your car when you are filling out the car export declaration for Europe. Container ships are sailing on a daily base from all the US port. We work with all the major European Shipping Lines so if your destination does not have a seaport, you can ship the container to the nearest port in Europe and from there use a local trucker to transport it. For car transport to Europe, ro-ro and container options are available for shipping your car to Europe. Depending on the origin, destination, and type of car our team will recommend the type the best option for your shipment. The rate for shipping cars to most of the major European ports is less than $1000 if shipped from the East Coast. For using ro-ro service the car has to be in run and drive condition with a clean title. If shipping from the West Coast, we are offering the container shipping for the car and some limited destination for roll on roll off. Car shipping from the US to Europe is one of USG strength! The price of car transportation to Europe varies depending on the type of car and port of destination and the mode of shipment of the vehicle. Classic cars are mostly being loaded into the container especially if they have a higher value. When filling out the export declaration for exporting car do not miss-value the vehicle as such could lead to US Customs $1000 penalty and even the seizure of your car so transparency is the best way for of shipping to Europe! If you need air freight to Europe for your luggage, boxes pallet or crate, you just need to give us the dimensions and weights of them and we make sure to offer the cheapest rate. Continent Europe is the smallest continent in the world but extremely populated. 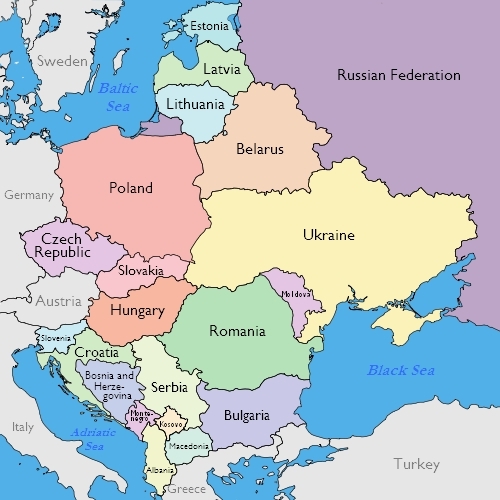 Europe bordered by the Mediterranean Sea on the South, the Atlantic Ocean to the West, the Arctic Ocean on the North and Black sea in the Southeast. The Union European imports from the USA is about 200 billion every year. Most of the time the process is quite clear and cut and easy to understand however there are some difficulties for some of the destinations in Europe. The air freight to Europe start with pick up of the cargo from your door in the US and end with delivery of them to your door in Europe! When you are planning to move to Europe, taking your household goods may look like a hassle, however, for the most part, is an easy process because customs clearance of the personal items in most of the European countries is quite simple and easy. The Customs is usually easy to deal with when it comes to shipping household goods to Europe. If loading in California, we can give the packing service. One of our associates will come to give you an estimate for the cost of packing. The packing service is a part of our service if you ship from Los Angeles. USG offer loading at all its place in North America. Eastern Europe is referring to the eastern part of the European Continent. USG Shipping Lines offer shipping services to all the major cities and ports in Eastern Europe. Our service included door to port or door to Port. We also offer Airfreight Services to all the Airports in Eastern Europe. USG works directly with Eastern Europ Shipping Companies and we offer all types of logistics services from the USA to Eastern Europe. You only need to send us an email or give us a call for if you need our services for Shipping to Eastern Europe from the USA and one of our team members will provide you all the needed information about that. 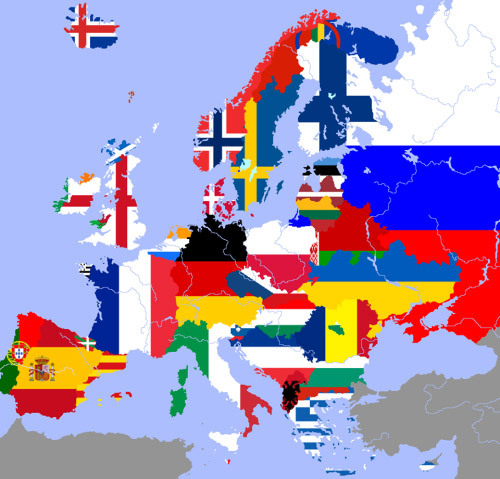 Northern Europe is the northern part of the European Continent. Please see below the list of countries in Europe where we offer the shipping services. Our service to most of the countries listed is door to door if shipped by Air or Ocean. 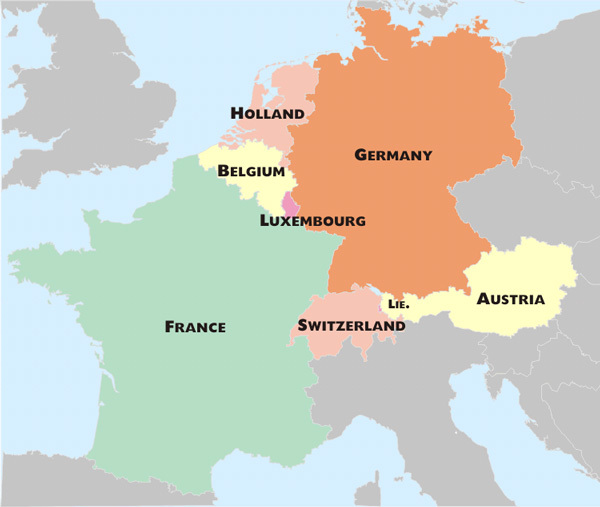 Western Europe is referring to the countries all the west part of the European continent. Shipping to Western Europe from the east coast is very fast since vessels need to only pass the Atlantic Ocean. For shipping your cargo to Western Europe USG Shipping only use the Atlantic Ocean rout no matter where is the origin of your shipment in the US. If you even ship from California we will transport the container on the rail to one of the port in the East- Coast before having it shipped on the vessel. Our service also includes the service for Shipping to Austria. Most of the Steam Ship Lines are originated from European that helps most of the western European Countries to have a very sophisticated logistics system. 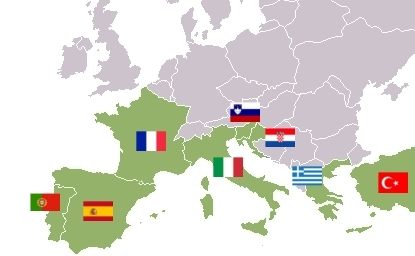 Southern Europe includes all the countries in the South Side of the European Continent. We have all the water Services from the East Coast to the South of Europe. We have also all water service from the West Coast which usually has a longer transit with a lower rate. We also offer Rail Freight from West Coast to East Coast or Houston and Ocean Freight from Houston to South of Europe. We also offer to ship to Slovenia. - Shipping to Estonia: Estonia is a country in the Baltic Region. It is bordered by the Gulf of Finland, Baltic Sea, Latvia, and Russia. Tallinn is the capital and largest city of the county and it is also the main port of entry for all the Ocean Freight cargo. Contact our team and we can gladly give you a great quote on your commercial or personal freight. - Shipping to Latvia: Latvia is a country in Eastern European country with Riga as its capital. 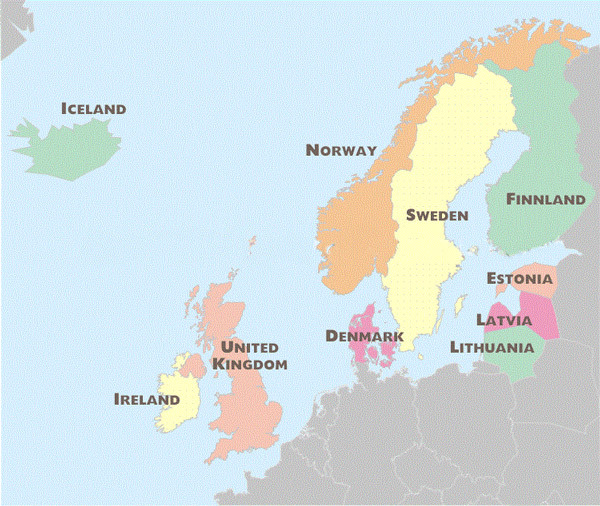 Latvia is surrounded by Russia, Belarus, Lithuania, and shares a maritime border with Sweden. The transit between Russia, Belarus, Kazakhstan as well as other Asian countries and the west is large. The three major ports in Latvia are located in the cities of Liepaja, Riga, and Ventspils. Contact USG for a quote on your shipment to Latvia. We make sure to help you with the best and cheapest way for shipping to anywhere in Europe for your car or other cargo!